Whether you are an artist, or a writer or a photographer, if you are serious about your career, then you should have an exceptional portfolio website. A perfect portfolio website just adds extra opportunity for you to attract clients and keep the money rolling in. If you are wondering how to make an exceptional portfolio website then relax back there because in this today’s blog post, we have 20 premium responsive WordPress portfolio themes that will shine your works. Have a look at them below! 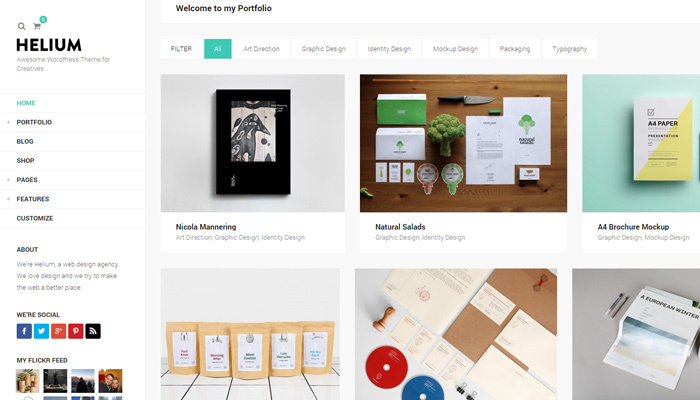 Capture is a responsive and easy to use WordPress portfolio template that features clean code, portfolio gallery filter, retina ready, multiple introduction variations, submenu support and many more. Click here to buy this theme. 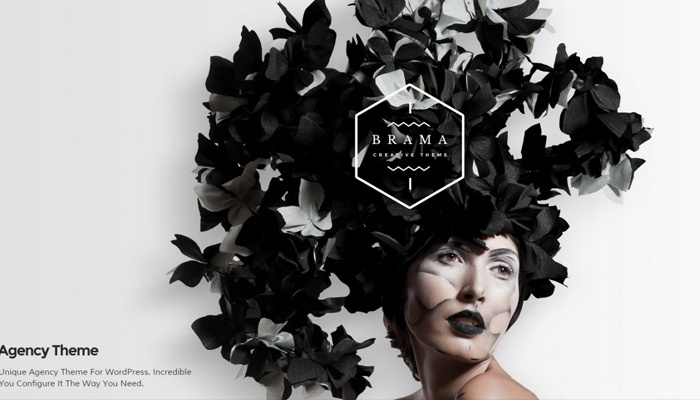 Brama is a new creative agency theme for WordPress that is ideal for creative agency/artist, fashion salon, architecture bureau or company/entrepreneur who wants to sell products online. Get more information by clicking here. 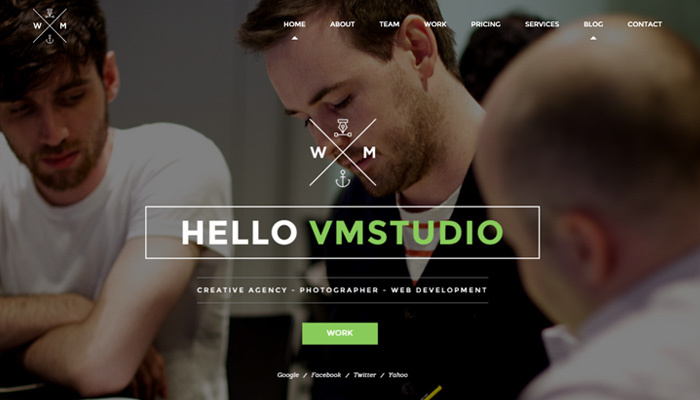 W&M is an amazing website template with ultra responsive layout, strong security, and parallax background effect. Check it out here. 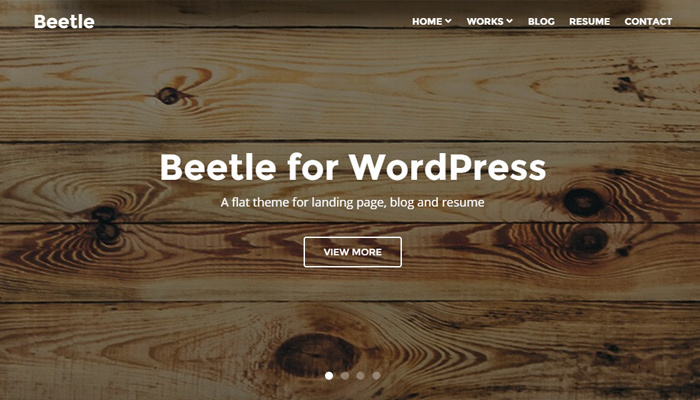 Beetle is a responsive WordPress theme for blogs, portfolios, app showcases and resumes. Get to know more about the theme by clicking here. 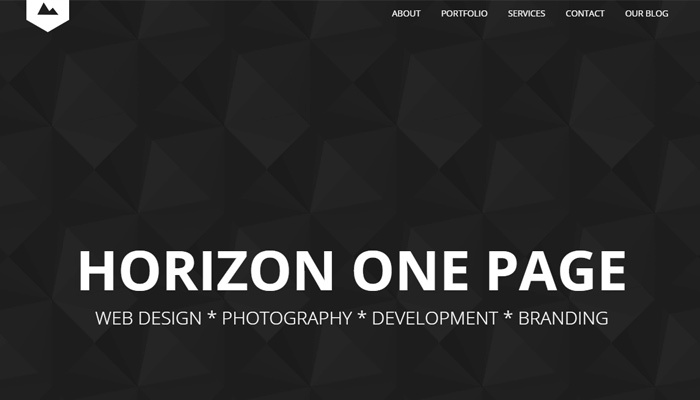 Horizon is a modern and elegant multipurpose retina and responsive one page WordPress theme that is perfect for any creative, business, photography, personal or music websites. 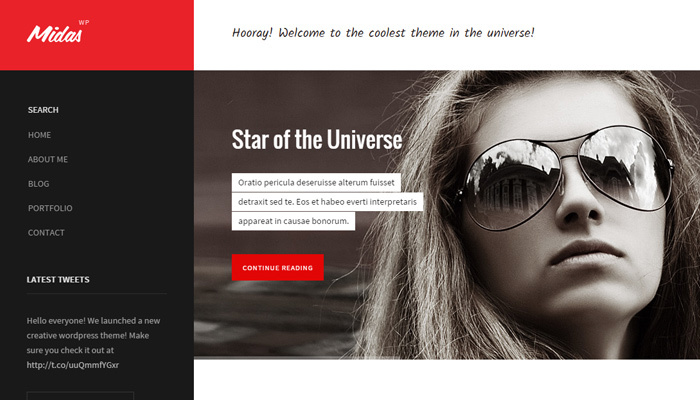 Confidence is one page theme that comes with a page builder where you can simply drag and drop for perfect layout. It is suitable for CV – modern and creative. 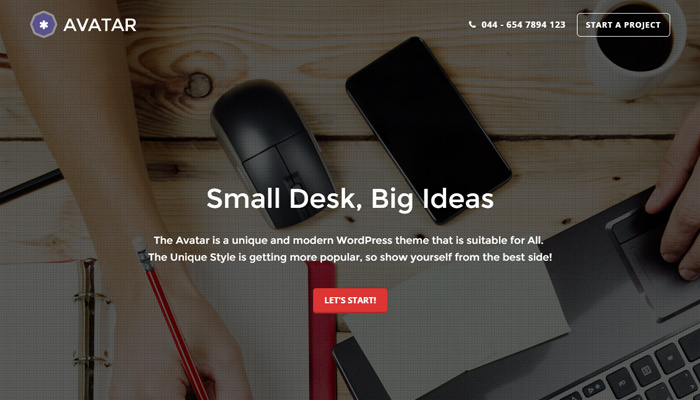 The Avatar is a modern WordPress theme with unique style that is suitable for all. 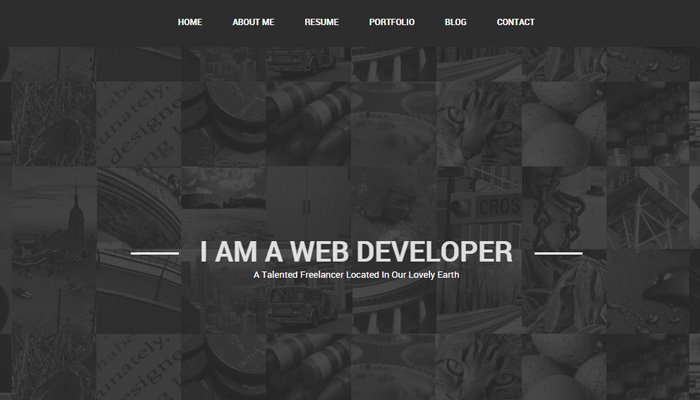 Get more info about this impressive theme by clicking here. 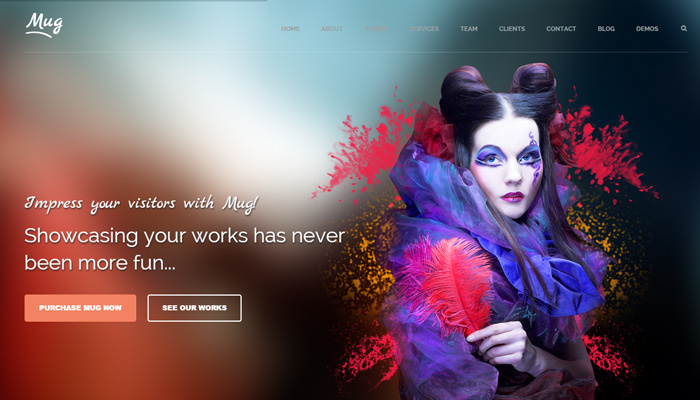 Mug is an elegant, modern, clean and multipurpose WordPress theme that is very flexible and comes with some awesome features, such as a full screen Slider Revolution, Visual Composer and many more. Learn more about this theme by clicking here. 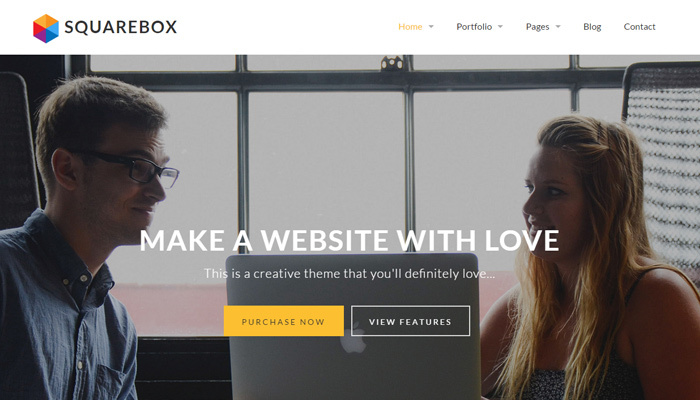 Squarebox is a responsive WordPress theme that is clean and easy to customize. It is suitable for multiple purposes. Get to know more by clicking here. Flatoo is a Flat, Minimalist, Professional & Multipurpose v Card for placing your personal information. Whether you are a designer, programmer or manager, this is a one page resume WordPress Theme that is just perfect for you. 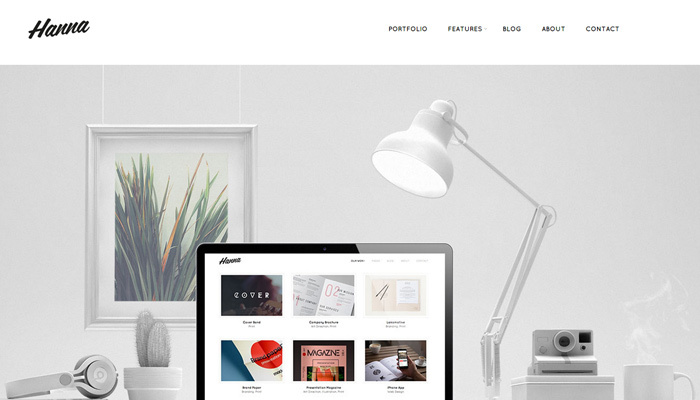 Helium theme features three different portfolio layouts, a beautiful blog and a robust AJAX navigation system. Get more information by clicking here. Midas is a simple, fully responsive wordpress theme that is best suited for blogging or portfolio showcases. You can buy this theme here. Hanna is an elegant portfolio theme with striking and impressive design that is designed for creative professionals and agencies. 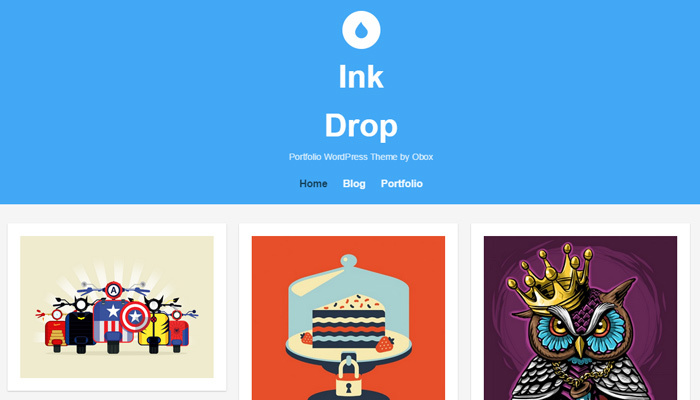 Inkdrop is a responsive portfolio theme featuring service listings and a minimal design, perfect for freelance designers. 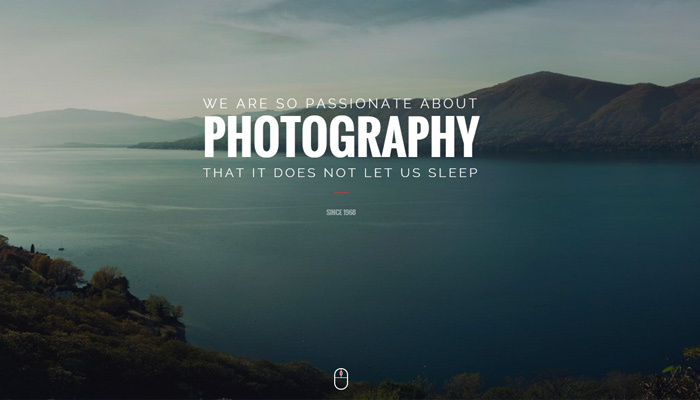 Diamond is a photography WordPress theme that is absolutely new and powerful. You check the demo by clicking here. 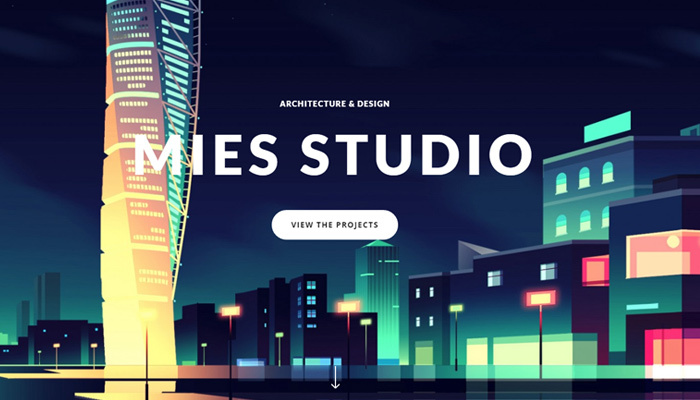 Mies is a front line parallax Architecture WordPress Theme prized for enabling you to present your work within a delightful and captivating experience. Check it out here. 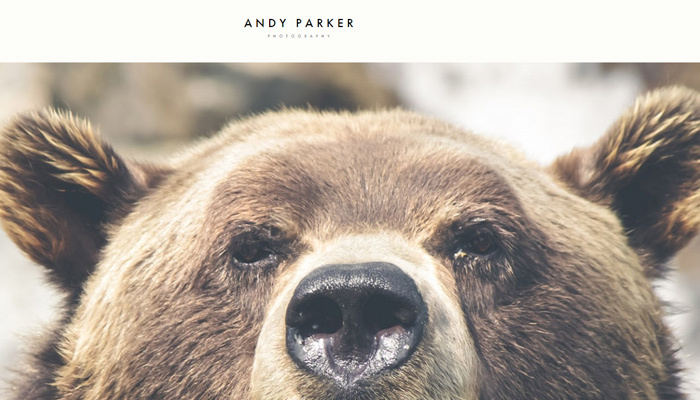 Andy Parker is a WordPress theme that combines a minimalist design with a large number of customizable options to help you create an outstanding photography or creative portfolio very efficiently and straightforward. Hello client is a one page portfolio WordPress theme that is responsive with drag and drop page builder, Google Analytics enabled, mailchimp integration, slider revolution and much more. 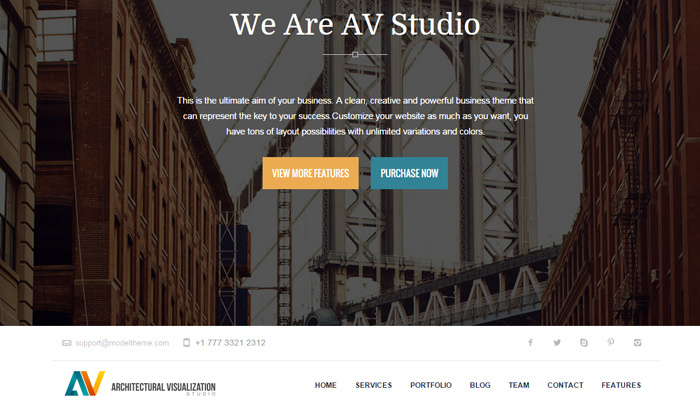 AV Studio is a professional One page WordPress template for any business or portfolio website and it is fully responsive with stunning design. 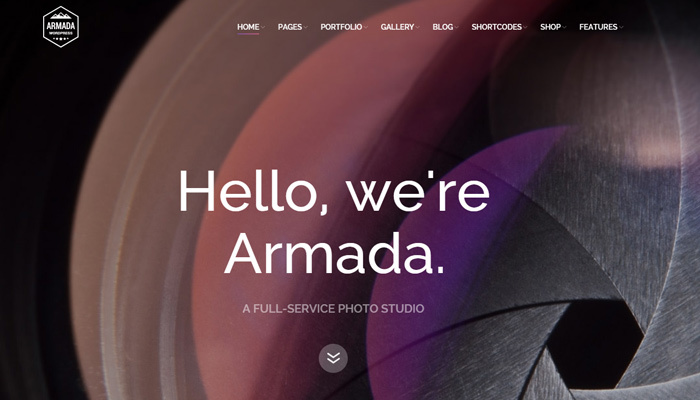 Armada is perfectly scalable, performance and SEO optimized, responsive, retina-ready, multifunctional photography WordPress theme.